The Isaac Scalf family came to Texas in 1852 from Iowa. After the Civil War, one of the sons, Richard Jasper Scalf, and his wife, Nancy Wilmeth, bought 10½ acres of land from James W. Throckmorton and settled on a farm southeast of McKinney. Nancy Wilmeth was a daughter of James Tinsley Roberts. Her first husband, who died in the Civil War, was a son of Frank Craw Wilmeth. 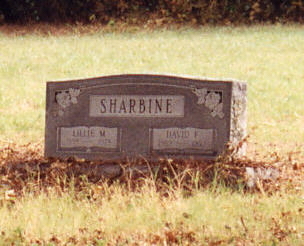 She had 2 children by Wilmeth, one of whom is buried in the Scalf Cemetery. A Scalf School was started in the area. When McKinney tried to take the school and move it into town, Joe Cline "Doc" Scalf guarded the school with his rifle. The school house became known as "Old School." There are at least 3 Confederate soldiers buried in this cemetery. On September 25, 1993, the Daughters of the Confederacy dedicated markers for Richard Scalf and his father, Isaac Scalf. They were in the same regiment in the Civil War. The location of the grave(s) of the other soldier(s) could not be determined. The first burial was for Charles Scalf, dates unknown. The last burial was for Titus Scalf in 1959. This area was once known as Dog Run or Dog Town. 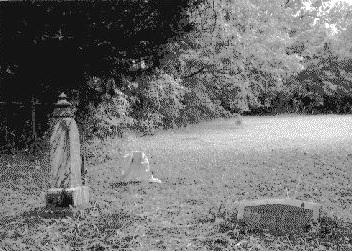 This cemetery is on the Daffau survey. It covers ½ acre with 1 ½ acres for access. The cemetery is deeded in Vol 156, p 516. There is supposed to be a separate deed for the access. I have not been able to find it. COLLIN COUNTY CEMETERY INSCRIPTIONS I lists 37 graves for the cemetery. Most of the stones have disappeared. The family is trying to get a historical marker for the cemetery. They maintain the cemetery. The arrow sign for the cemetery is hard to see. This cemetery is shown in the Dallas Mapsco, p 361. Old Mill Road south of Pecan Grove Memorial Park has been closed off for the city dump. It can be reached from Couch Dr. at Industrial Blvd. It is harder to locate the cemetery from that direction.